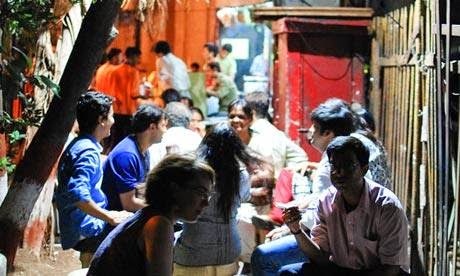 Mumbai is city of thousands of hawkers. 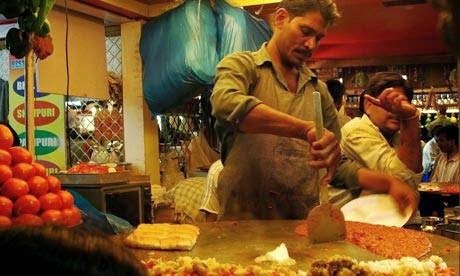 Today I am going to share with you all 5 tastiest street foods in Amchi Mumbai. This place is just 5 minutes walk from Mumbai Central. Here in Sardar’s you can finger licking Pav Bhaji. It’s so famous that if you ask someone then they will surely guide you. You will get yummy mutter pav bhaji. They serve in metal plates one contain pav and second one containing Bhaji. You will love buttery pav bhaji. Your stomach will surely thank you for tasty pav bhaji. Squeeze lemon on top of bhaji and you will surely dig your figure. Sardars – 166 (A), Tardeo Junction Road, Tulsiwadi, near – Tardeo bus depot. It is Mumbai’s hand burger. Every Mumbaikar love this grab and go snack. Vada’s are prepaired by mashes potato’s coated with besan and crispy fried. Then these vada’s were laid in Pav. Everyone from business man to students visit Anand stall. Fried green chillies add touch to this vada pav. Anand is located opposite of Mithibai College, vile parle west. This place is testament of late night. Chicken is prepared in metal vessel and cooked in charcoal. This place has open kitchen and is located behind Taj Mahal Palace Hotel in Colaba. Waiters are dressed in red aprons. You can get tasty chicken tikka rolls. You can even try meat wrapped in roomali roti and topped with fried onions. These rolls are so tasty that you don’t even required sauce along side. 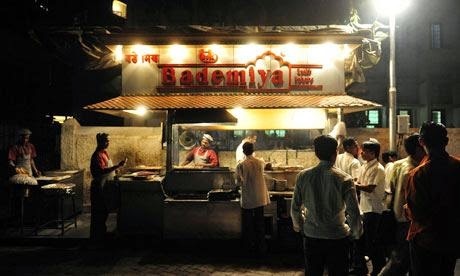 Bademiya, Apollo Bunder, Tulloch Road, Colaba. Yes you heard right is Bachelorrs not bachelors. It is perfect place to hang-out with friends where you will get shakes, juices and smoothies. It has been started in 1940’s and has many loyal customers till date They are specialist is cream and strawberry milkshake. You can even try black Gold premium, chocolate classic and liquid marble with fresh lime. Bachelorrs are located opposite Birla Krida Kendra, Chowpatty Sea Face, near Charni Road Station. Bhel Puri is very famous and very light snacks made from sev, potato, sweet and sour puffed rice, chopped onion and tamarind Chutney. It should be eaten on spot and it’s healthy too. 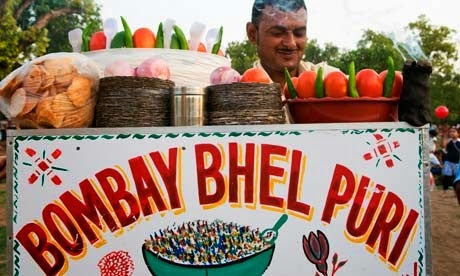 Chowpatty Beach is home of Bhel Puri. It is perfect dish to be eaten on shore. Sharmajee bhel puri is very famous in Chowpatty Beach. Sharmajee – stall no 22, near charni Road Station. 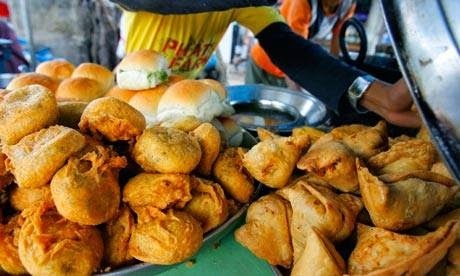 These were 5 best street foods in Mumbai. So Next time you visit these places do try their special dish and let us know your experience.